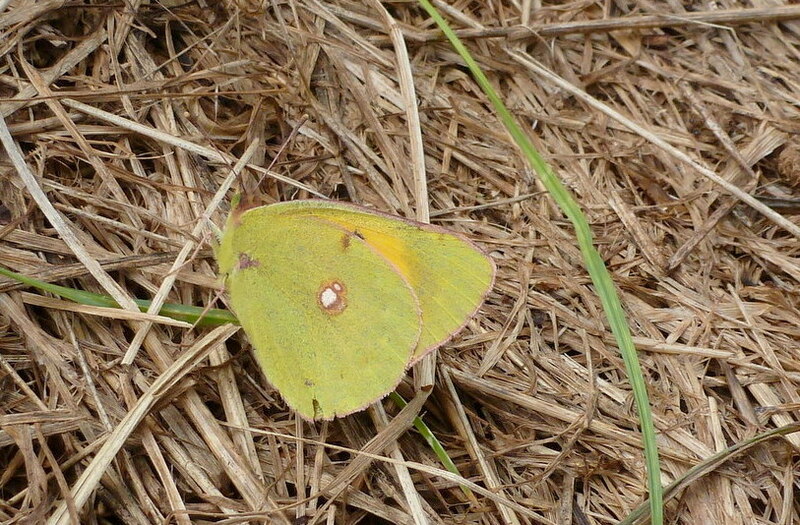 Where do butterflies go when it’s cloudy? It’s cloudy today, not cold just cloudy and there has been a short shower of rain. A few days ago we went for a walk. Just to prove what I am saying, I’ll show you a photograph of two at one time. 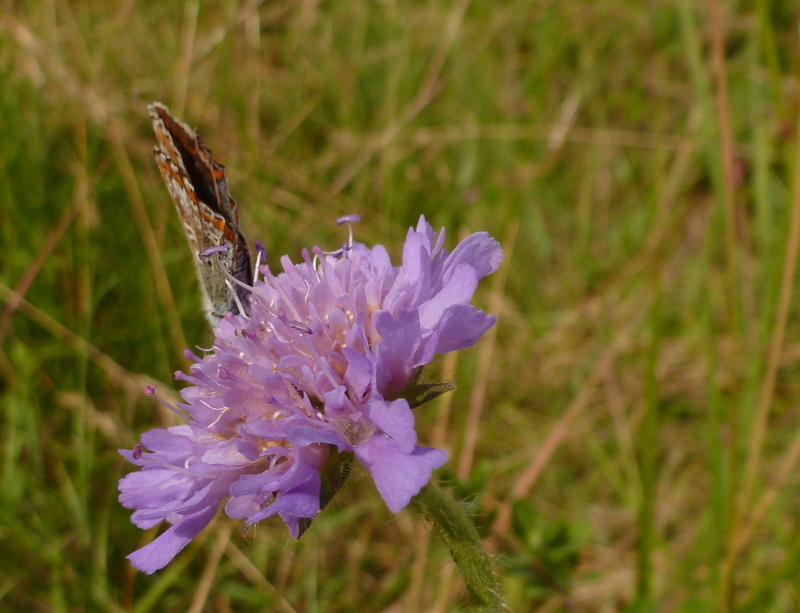 The wild scabious was very popular with them. It was the same in the garden. The Peacock butterflies were abundant. But not today. 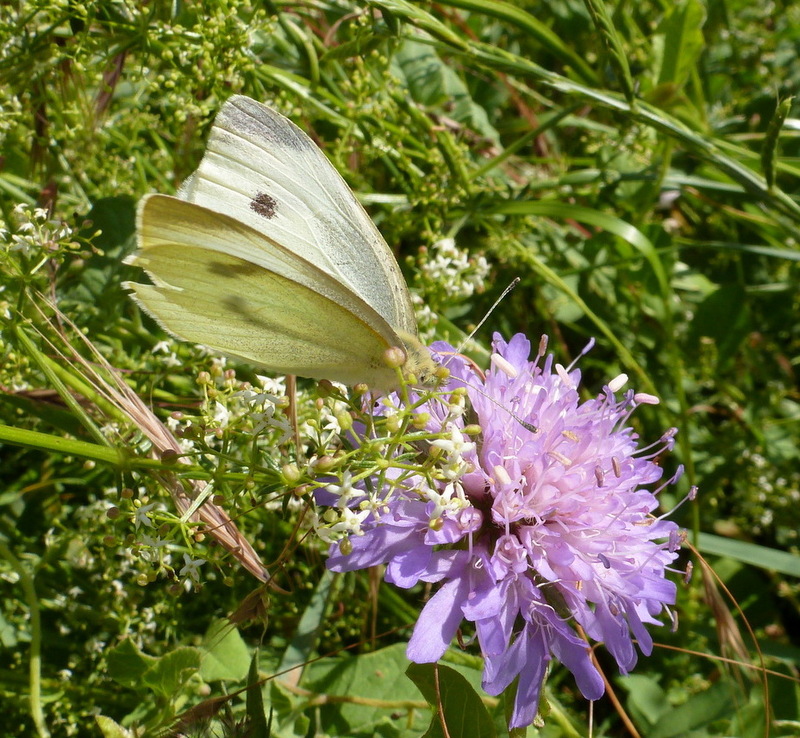 Where do butterflies go when they don’t fancy taking a turn out to sip some nectar? The bees I understand, they stay in their hives or nests if the weather is bad. But the bees are still active today, if somewhat subdued compared to a sunny day. Do butterflies suffer from depression if it is not sunny? 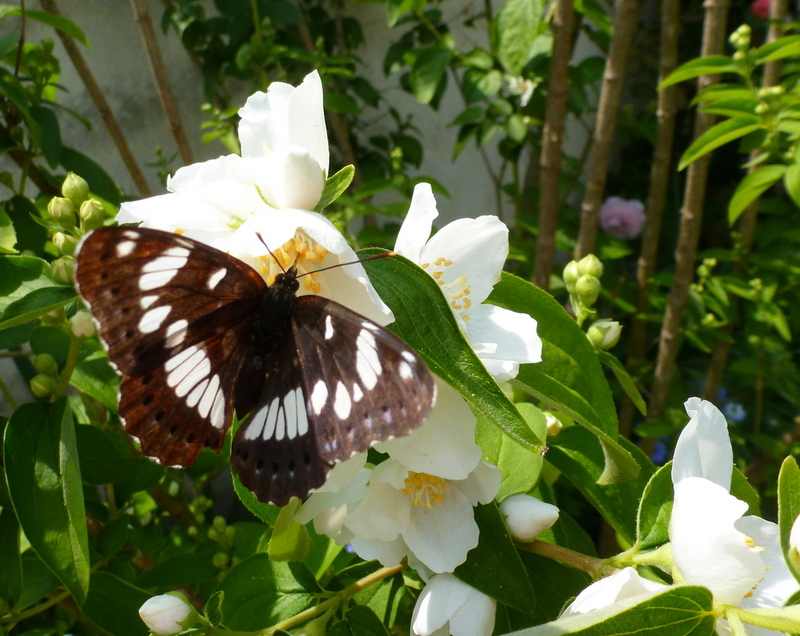 Categories: insects, Nature | Tags: butterflies, flowers, garden, nature, photographs, wildlife | Permalink. Good point, I’ve never really thought about that before. 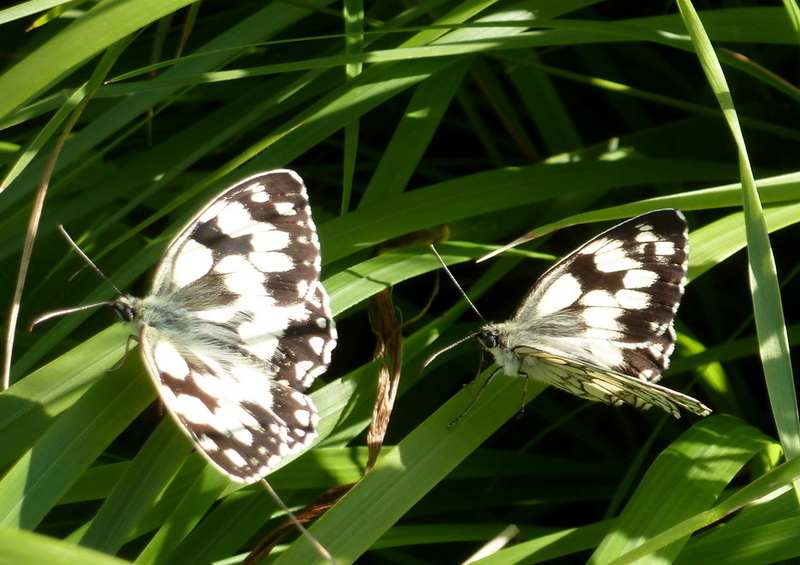 Lovely photos, the marbled white is beautiful. 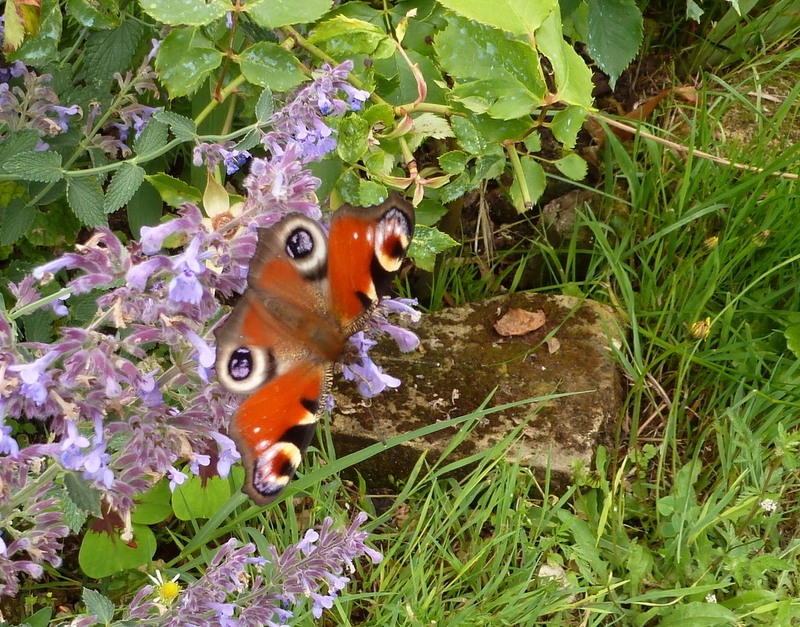 Poor butterflies, I hate to think of them getting all damp and bedraggled. Maybe holes in trees would provide a cosy hiding place. I have a little more incentive now. 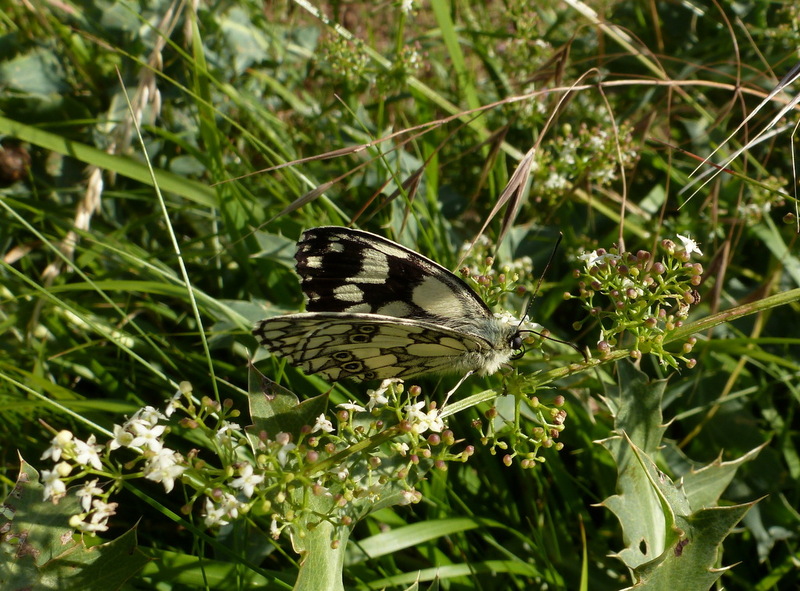 I am in contact with an association in the region that wants reports of the butterflies that are present, even the common ones. They are trying to keep a records. So instead of just admiring them I try to take a photo and note down the details. I’ve still had no luck in tracking down a bumblebee association here. This looks very interesting. I will look into it. They seem just to be starting and are asking for bumble bee pictures. Thank’s for that link you have given to Amelia, Susan. I think that I’ll follow that up… I have the time to log what we have here as I can do it while gardening and mowing. I was wondering the same thing about damselflies and dragonflies. I only ever see them on still sunny days. So where do they go the rest of the time? A mystery. Apologies Amelia, I thought that reply was going direct to Susan… that’s waht WordPress seemed to indicate, anyway. You can delete this once you’ve read it! !